The promotional products industry requires a specific type of creative. You are expected to persuade businesses to purchase promotional products from your business, while thousands of other businesses are doing the exact same thing. You are also faced with the challenge of convincing businesses that they need promotional products. Jeeze! Immediately upon entering the market, you are faced with 2 relatively large hurdles. How do you make your way to the top of the pecking order to boost sales and build life-long customers? Creatively. Creativity isn’t a natural instinct. You cannot claim: “I want to be more creative,” and immediately turn over a new leaf. It takes practice. You no longer need to look to other people for inspiration prior to speaking with a customer (Facebook groups, LinkedIn groups, Google+ Communities), instead, you can share success stories and exciting PR with other industry members. 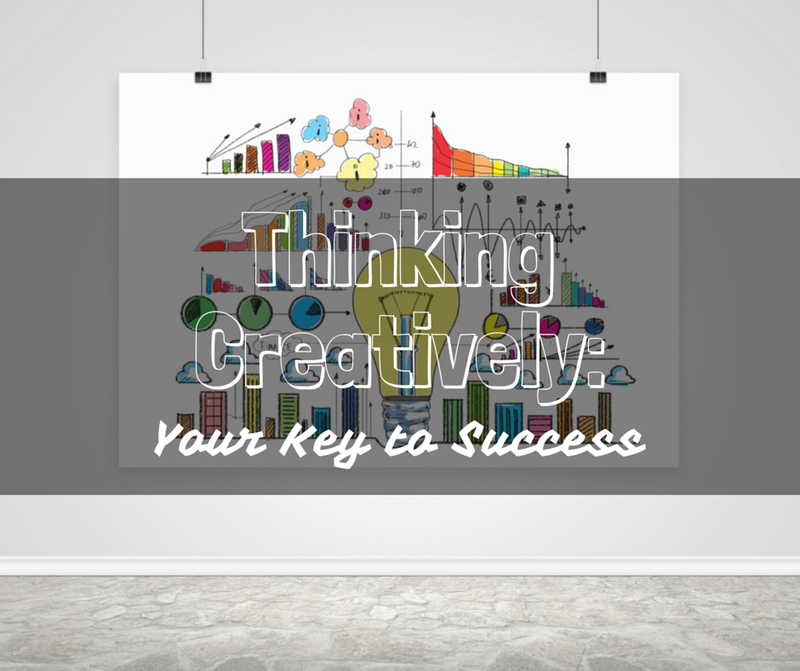 Here are 5 tips for boosting your creativity, and changing the way you run your business. Put a name to your target audience. Is my audience male or female? What is their spending habits? Once you determine the answer to these questions, you have a pretty exact representation of who you’re talking to on a daily basis. Give this person a name. Now you need to remember that you are speaking to this person in everything you do. Monitor your marketing tone, make sure it’s accurate on all platforms! The most effective tool for boosting my own creativity is reading. News articles, blogs, industry reports, etc. Whatever you can get your hands on, I suggest reading. Generally what happens is this: you click on a blog article entitled “Boosting your Creativity”, 2 lines into the blog your mind is running and you think of an idea for a Christmas promo. Reading is the world’s best way to spark creativity and inspiration. There’s something special about a collection of words that just makes sense. I can’t tell you how many times I have had a seemingly brilliant idea pop into my head while out running errands or perusing my local used book store. I sift through my purse only to find that I have nothing on which to log my idea. CATASTROPHE! My suggestion: go to Walmart, Ross, TJ Max, or the like, and purchase a really cheap notebook. If you’re high maintenance like me, you probably want a fancy quote or design on the front, in which case those are typically $4.00 (totally worth it), otherwise all you have to spend is $2. Every time an idea pops into your head, instead of simply acknowledging it as a brilliant idea, or convincing yourself that you will remember it later, write it down. I have this theory (totally not backed by Trade Only) that ideas are floating through the universe on their own will. Then, some power greater than ourselves sends specific ideas into your mind for a specified period of time with which you can take action, or leave it alone. If you choose to ignore the thought, it is then thrusted back into the universe for some other chap to either adopt or reject. You never know, it could be accurate. Let’s take Pinterest out of it for a second, and resonate on the fact that dream boards are one of the most creative-boosting tool for anyone. Before Pinterest, I would make dream boards for fashion (it’s always been my thing, don’t judge), beautiful art that I wanted to mock, and sometimes I would even create dream boards that expressed a particular attitude I wanted to encompass. It’s not just me; Pinterest wouldn’t have become one of the top websites in the world if people weren’t both fascinated and motivated by dream boards. That being said, Pinterest is not just for women. You don’t have to love fashion, beauty, DIY projects, or interior design to use Pinterest (despite what you might think). I have boards ranging from personal branding to inspiring quotes to my favorite tech products. Utilize Pinterest to get your creative juices flowing. Need some marketing ideas? Great, type ‘marketing’ into the search bar. Looking for some design ideas? Maybe some typography? Great, search either of those terms and you will find pages upon pages of content. Creativity revolves around change. Redundancy often hinders creativity. The more you shake things up, the more powerful your creative juices will be. You don’t have to make a major life change to excite your creativity. It can be something as simple as a change in immediate location. You may have read multiple workplace articles that mention ‘leave your desk and go for a walk every hour or so, to have a more productive day’. Basic biology states that you need a steady flow of oxygen and blood to your brain for maximum functionality. Taking a walk helps with your blood flow. You will rarely find me at my desk for longer than an hour. Even if I take the long way to the bathroom, or I walk outside for some fresh air, I take any little bit that I can get. If you’re feeling a bit on the groggy side of your day, move your work to the local coffee shop (with wifi, of course). Change of location is good for your health and good for your creativity.